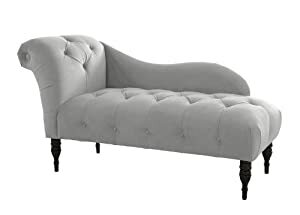 This victorian-inspired one armed chaise will make a great accent piece in your home. Handmade in America, it features luxuriously soft velvet upholstery and deep diamond tufting. Easy assembly required.